Are you looking for a way to grow demand for solar lights in Africa that doesn't undermine attempts to build a sustainable market? If so, this Guide to our successful Light Libraries project is for you. SunnyMoney’s Light Library project was funded by Lighting Africa, a World Bank/IFC joint initiative, and delivered in partnership with the Senegalese Rural Electrification Agency and the Ministry of Education. Nearly 5,000 solar lights, 58 schools and an estimated 55,000 people gained direct exposure to the solar lights through the project whose objective was to support market-building by overcoming two of the main barriers to uptake: lack of trust and awareness. As a follow up to the project, our social enterprise SunnyMoney, delivered its traditional sales campaign to assess change in demand and found that sales were dramatically higher in the Light Library schools at 35% of school population (2,138 lights) than in control schools with 15% uptake (966 lights). The Light Library model not only appears to have increased uptake but also seems to have reduced the perception of risk. Many of the Light Library schools included customers from lower-income families who are generally more risk averse and less prone to become early adopters. The Guide shares information on the design and delivery of the project and the subsequent delivery of SunnyMoney's traditional sales model. It shares the results of the evaluation as well as the lessons learned, challenges faced and key issues addressed. 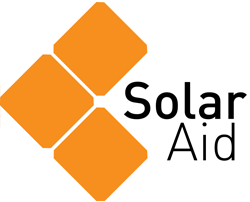 Sign me up for SolarAid news (you can unsubscribe at any time).